It’s your time to become. . . Simply Wealthy in business & in life! Divine Leader of Transformation & Self Empowerment to Highly Conscious Entrepreneurs. Join our Simply Empowered private group to support YOU! The Universe is always activating the power of your gifts, it's up to you to awaken to them, to be aware, and to do something with this awareness. I’m devoted to helping you step into your true potential. Empowering you to peel back the layers, intuitively connecting you to your truth, your true purpose in life, uncovering the innate gifts that you are ultimately and uniquely designed to share with the world. This site will provide you the tools, training and resources to be, do and have the business and life you desire. Sign up for my complimentary, Simply Empowered interactive group & VIP list for amazing support and assistance on your purpose-filled journey. Fully step into your purpose-filled journey to Be, Do & Have the business and life you truly desire with this complimentary group interactive! BONUS GIFT! Gratitude to Abundance Kit including meditation, journal prompts & affirmations to kick-start your journey. Get the Support you need! Join "Simply Empowered" TODAY! Visionary Mentorship with Me! Learn More! Monthly topics from mindset, money to marketing and all things in between to not only support you in your business success, but to empower you to step fully into your mission, express your creativity and live your best life! Be, do, have all that you desire! This intimate, dynamic group offers support in a powerful way to keep you moving on your personal, unique path. We’ll deep dive into monthly topics such as mindset techniques, evergreen business strategies to creating abundance. There are Universal Money Archetypal patterns that each one of us falls into. Discovering your Sacred Money Archetypes will uncover your money strengths and gifts, as well as your money shadow-side. When you align with your innate patterns, you will be able to experience greater flow and abundance not only with your finances, but in every area of your life! Understanding your Money Archetypal patterns will assist you when it comes to strengthening your boundaries, empowering your voice, nurturing your relationship with you and others and have you instantly making more money in your business or career. It’s your birth right to be abundant! It’s your time to “Be You & Thrive!”. Be, Do, Have all that you desire while serving others from your heart. We begin by creating a financially abundant foundation in your business, quickly, so that you can thrive! Fully stepping into your purpose-filled path by understanding and learning how your past experience and connections uncover your true gifts in life. These step by step evergreen strategies are perfect for those of you that are just beginning, or are restructuring your service based business, or perhaps have just never realized your true potential. This training is for highly conscious, service based entrepreneurs, healers and coaches alike that are finally ready to do what you love, with who you love, making the type of money you know you deserve, all while serving with a deeper impact… Just by You being YOU! If you are looking for a deeply personalized experience, Visionary Elite 1-1 Mentorship with Debra may be your next step! Visionary Elite 1-1 Mentorship - Learn More! 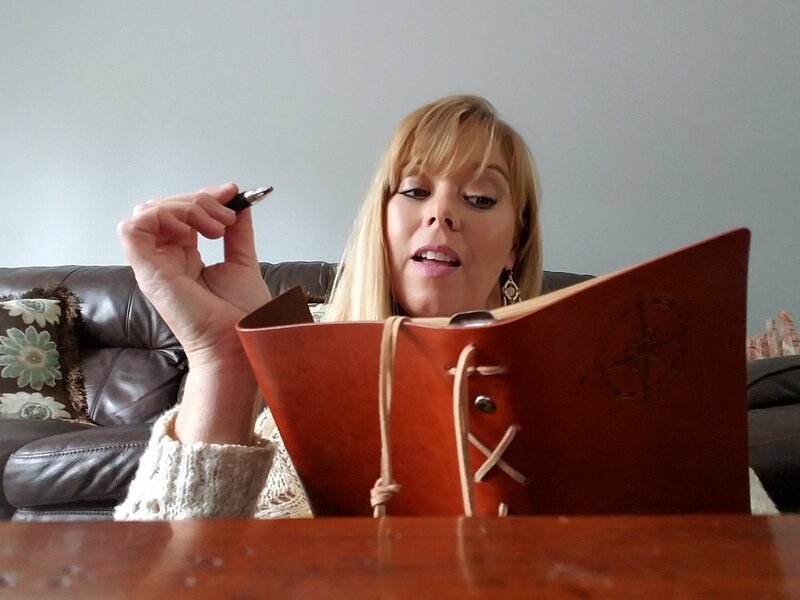 A blog, personal journal shares & empowerment quotes that offer teaching, inspiration & deep insights into connecting with your purposeful path. Become simply wealthy in business and in life, TODAY! Hello!!! I'm Debra, Divine leader of transformation & self-empowerment for highly conscious entrepreneurs and those on a higher mission. I have the intuitive ability to quickly pull back the layers, uncovering my clients bigger vision - entrepreneurial or life purpose mission, that they are ultimately here on this earth to share. Guiding you to step into service, success, and magnetic abundance much more quickly, all by being uniquely true to YOU. I pride myself in helping clients achieve transformational results while empowering oneself to uncover and heal whatever may be holding you back from being, doing and having all that you desire in life. I teach others to do what they love, with who they love, living the life they love! My hopes are that my teachings will not only powerfully assist you in your personal and business growth, but empower you to thrive, to live a truly purpose-filled life, TODAY! Be, Do & Have a purpose-filled business and life that you desire! Join our complimentary "Simply Empowered" interactive group and VIP list to get priority offerings, gifts, high content and valuable information. BONUS GIFT INSIDE!!! We respect & LOVE your privacy.